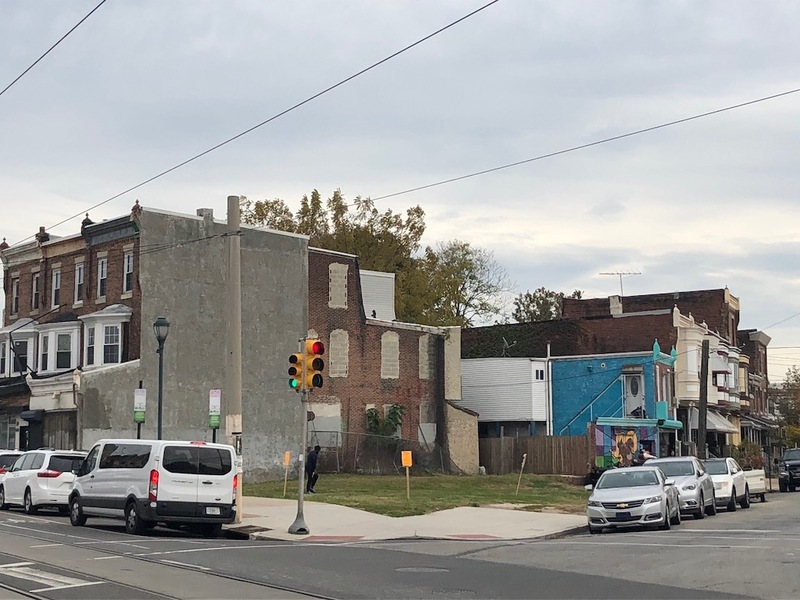 The triangular parcel at 5050 Baltimore Ave. has been vacant for as long as we can remember, having fallen into a state of decline along with many other properties along this section of the Baltimore Avenue corridor. But as we’ve shown you over the last several years, there have been several positive developments on this block, including the renovation of a retail space into the bar-restaurant Booker’s, another rehab that created event space Petit Fete, and the construction of a small mixed-use building on a long vacant lot in the middle of the block. Perhaps you remember, Greensgrow nearly opened their second location at 5050 Baltimore Ave. a few years back, and even met with the community about the possibility. But they ultimately elected to open a temporary space on the 4900 block before moving to a big space on the 5100 block. An so the lot continues to sit empty. But perhaps not for long. According to West Philly Local, developer Ryan Spak presented plans to the community for a mixed-use building at this address just a couple weeks ago. 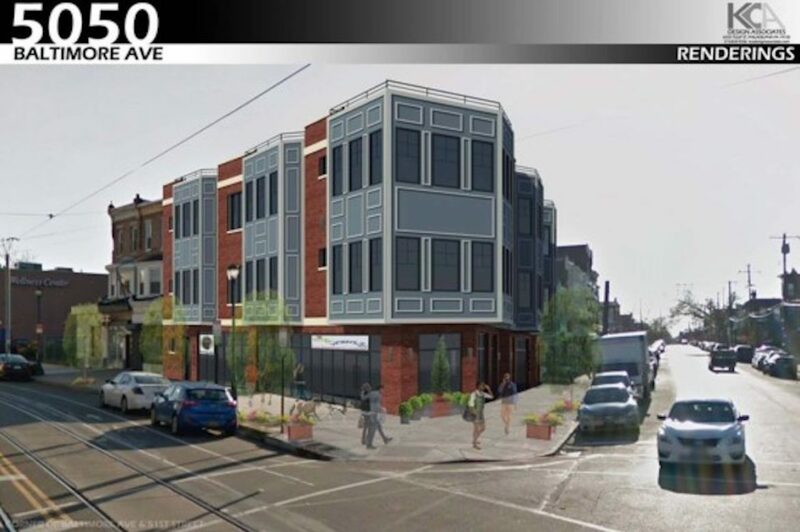 The project calls for twelve residential units and two commercial tenants, a mental health services firm and Baby Wordplay, a bookstore/play space for kids. By right, the developer could build something with seven residential units, but the unit count gets bumped up to ten by taking advantage of the recently passed inclusionary zoning bill, which provides density bonuses for offering apartments at prices below market rate. The developer was seeking an additional two units on top of what was permitting with the inclusionary zoning bonus, which is the reason for the community presentation and ultimately, the trip to the ZBA. We appreciate the efforts that KCA Design Associates are making in terms of architecture, to design a building that’s compatible with its surroundings. 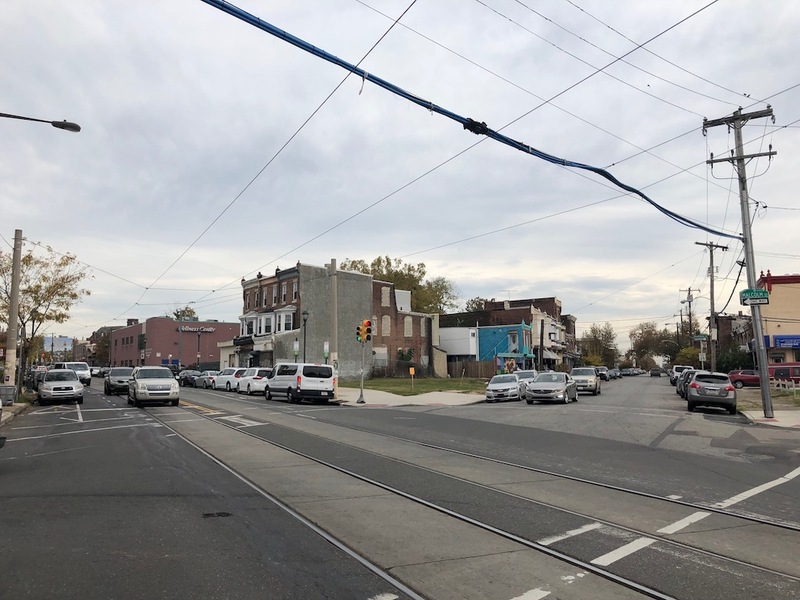 The West Philly Local story not only provided some key information about the project, but the comments section also included some additional layers of context. While the story stated that the neighborhood came out in support, there are clearly some near neighbors that are opposed to the project. It seems that the basis for this opposition is rooted in concerns about a mixed-use building and the density that comes with such a development, and also a perspective that the $787 “affordable” rate isn’t terribly affordable and therefore shouldn’t trigger any density bonuses. As it stands, we imagine the project will ultimately get approved, since the developers are only looking for two extra units and this is, after all, a commercial corridor. But still, we expect there will be further growing pains when it comes to inclusionary zoning bonuses, further demonstrating the challenge that comes with promoting additional affordable housing in Philadelphia. $787 a month is what a student out of college could afford. We have a lot of people living on the area and a good percentage of them are college educated.